It’s been 20 years since the PlayStation first launched in Japan on December 3, 1994. To celebrate that important date, Sony is producing a special gray PS4, just like the PS1. The gray extends to the DualShock 4 controller, which brings back even more memories of gray controllers, as well as the vertical stand and camera accessories. There’s no mention of the cost, but if you’re a collector, you’ll want to pay whatever they’re asking: only 12,300 units will be made available worldwide. US gamers should watch the PlayStation Experience keynote on Saturday, December 6 at 10AM PT to learn how to buy one of these rare systems. For the rest of us, we’ll have to settle for the detailed video below, which shows off details, such as etchings of PlayStation button symbols. 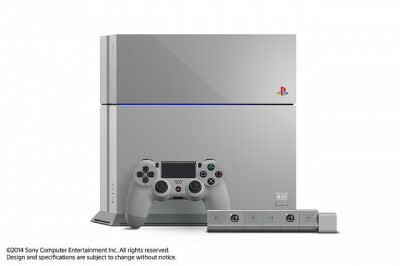 Hey Sony, how about a gray controller for those of us who already own a PS4?